Writing Shed has been designed with you, the writer, in mind. 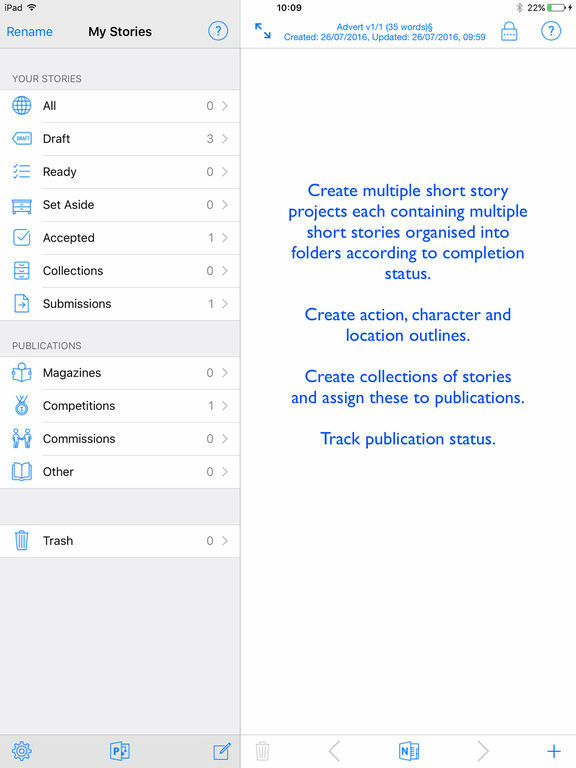 It is more than a word processor, it is a complete management tool for all your work: novels, short stories and poetry. Usually there will be several versions of each poem/scene. 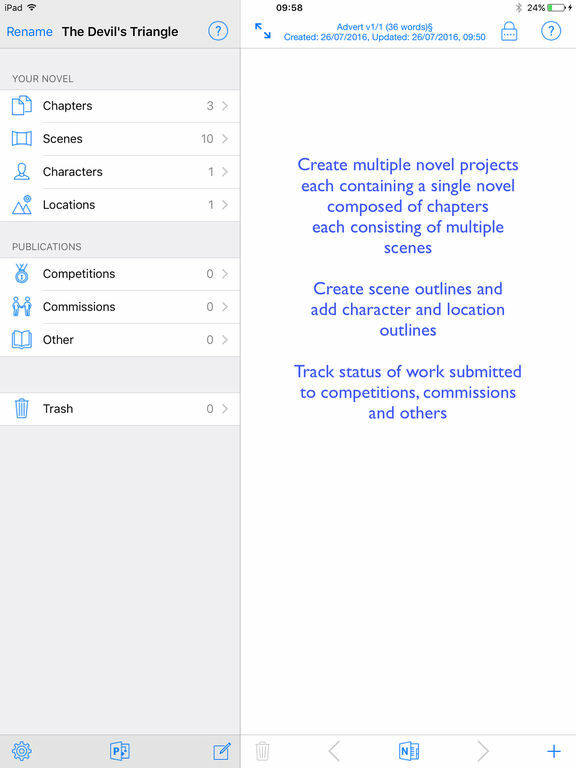 Writing Shed lets you create multiple versions of a text without having to create a new name for each. 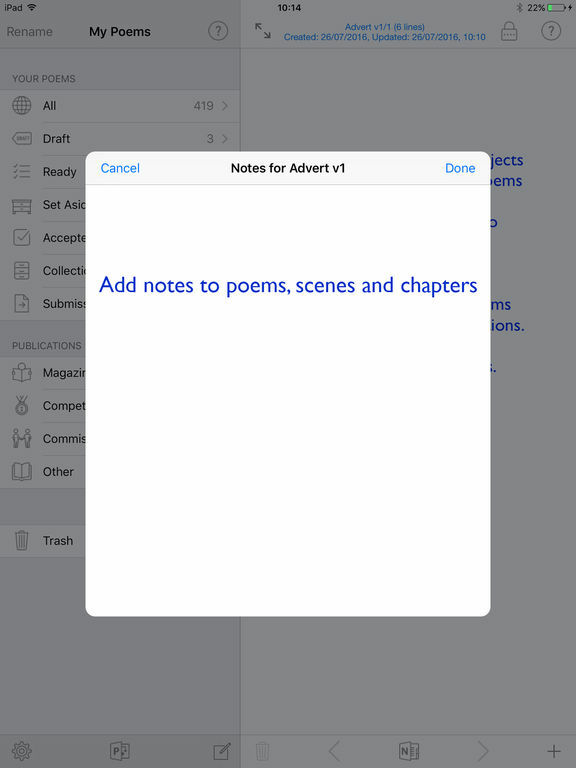 •The About screen now contains a What’s New button. 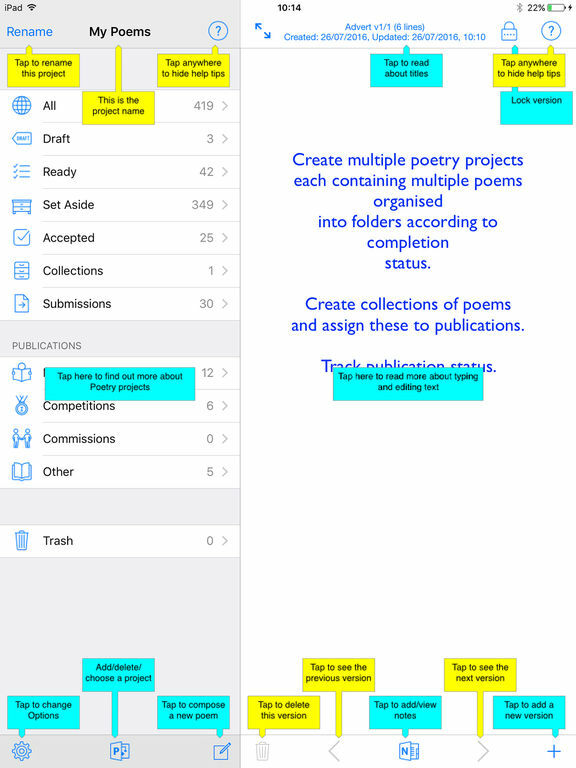 •You can now add/remove text versions from Collections and Submissions. 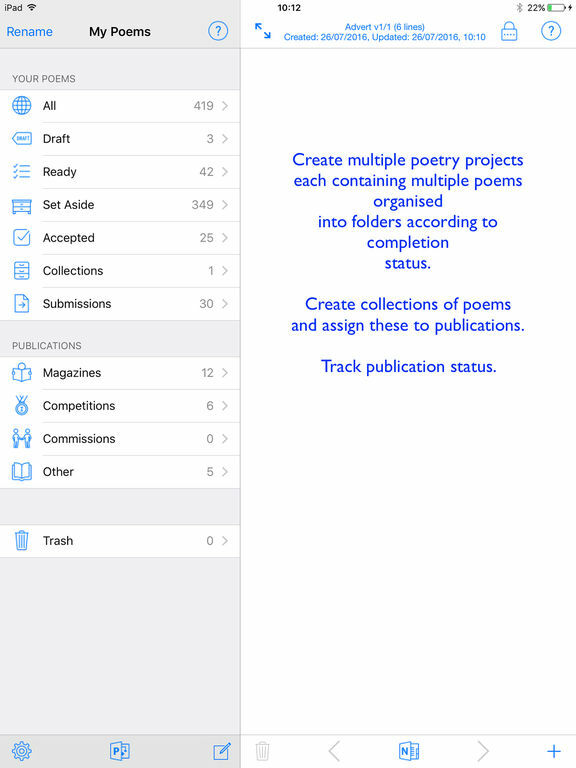 •The count of collections/submissions for a text now always displayed correctly. •The project menu now contains a Done button. This is needed for the iPhone version.